There is this super famous ultra luxe frenchie version of a ham and cheese sam’ich called a croque monsieur, maybe you’ve heard of it? Well I personally prefer the lady version, croquet madame. When I make it I don’t go all ga-ga for béchamel I just use a couple cabinet staples to make my quickie meal. The main reason I prefer the feminine counterpart is due to its versatility. The warm cheesy ham and egg goodness seems perfectly appropriate to eat any time of day. – Heat oven to broil. – Place bread on a sheet pan covered with foil under the broiler for just long enough to give it a light toast on the top. – Remove pan from broil and flip bread. – Put a non-stick pan/skillet on the stove to heat for your eggs, go ahead and add your butter to the pan so that it can melt. – Place the sandwiches back under the broiler. 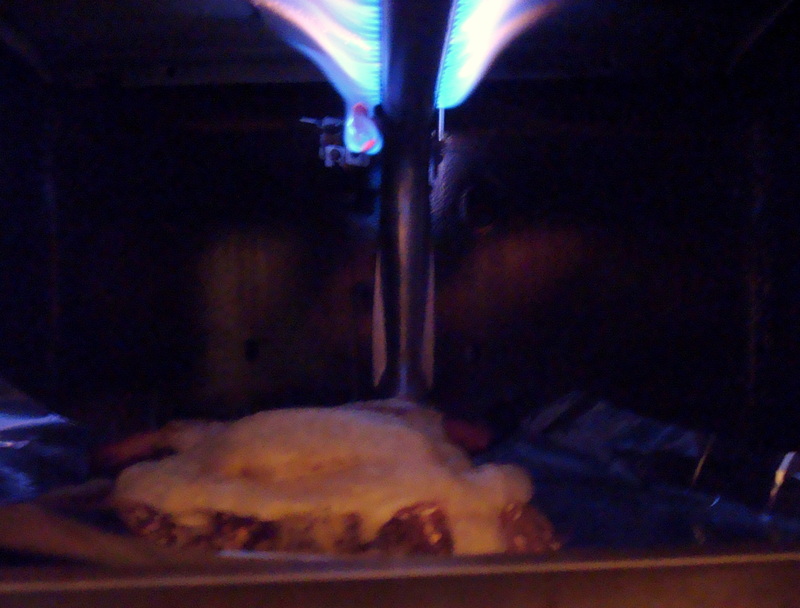 – By the time you flip the eggs the cheese should be bubbling golden brown so pull the sandwiches’ from the broiler. 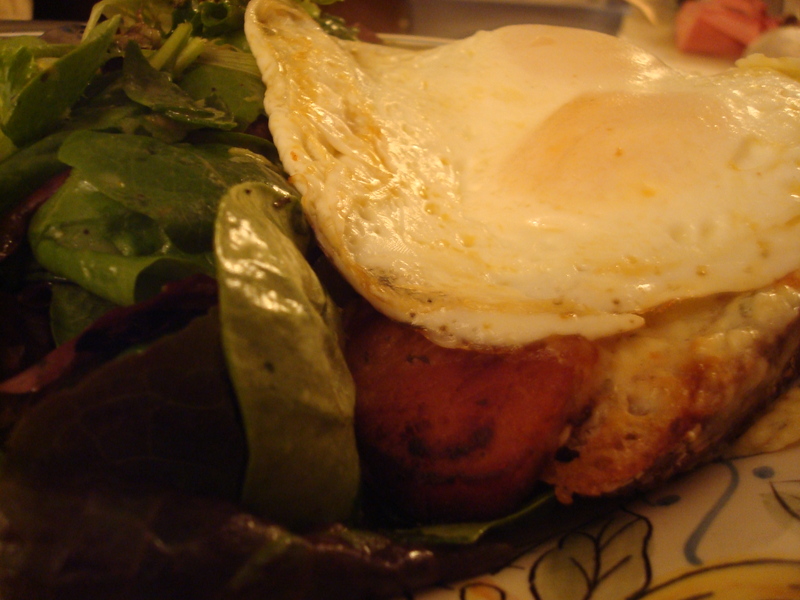 – Assemble on the plate by place one over easy egg on top of each slice of bread. – In the bottom of a large bowl mix lemon juice and mustard with herbs and seasonings (use a fork or a whisk). – While whisking stream in olive oil until emulsified. – Just before plating in the same bowl toss greens in vinaigrette. * I always make the vinaigrette while the broiler is heating up. Then toss the salad after I flip the eggs. This entry was posted in People Food and tagged brunch, easy meal, french food, quick lunch, Recipes, sandwiches by Angie. Bookmark the permalink.